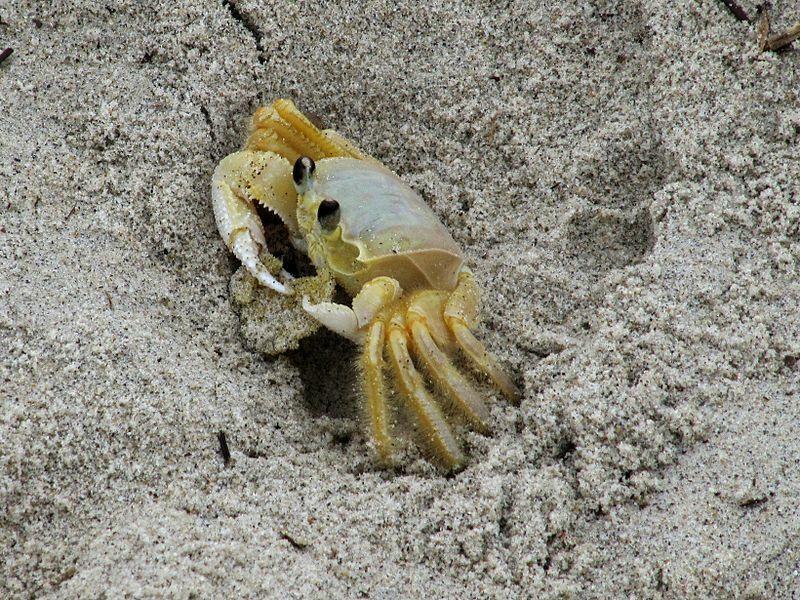 Atlantic ghost crabs are the only species of the ghost crabs that lives in the Atlantic Ocean shore of the United States. They got the title "ghost" because of their nocturnal nature. These crabs live in the burrows in the sea shore sands during the day time. They comes out searching for food during the night. One of their most prominent food source is baby turtles and also turtle eggs. 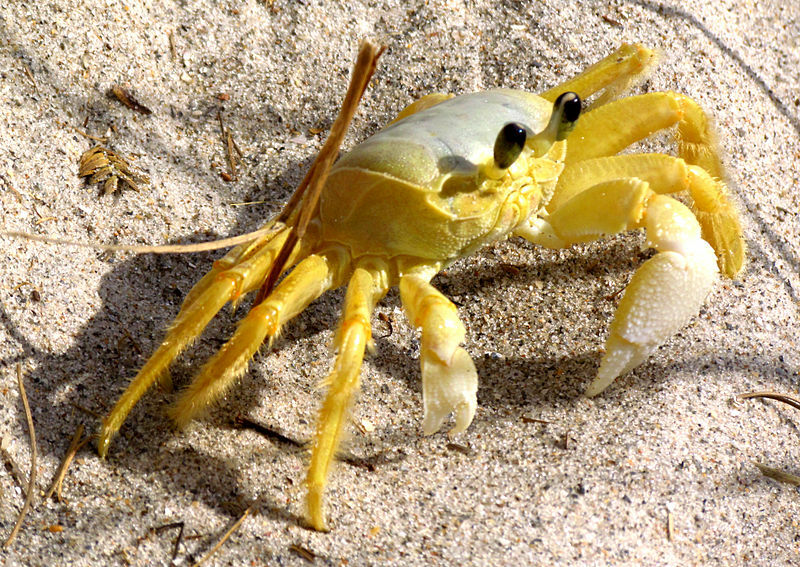 Ghost crabs belong to the family Ocypodinae. These crabs are semi-terrestrial in nature. 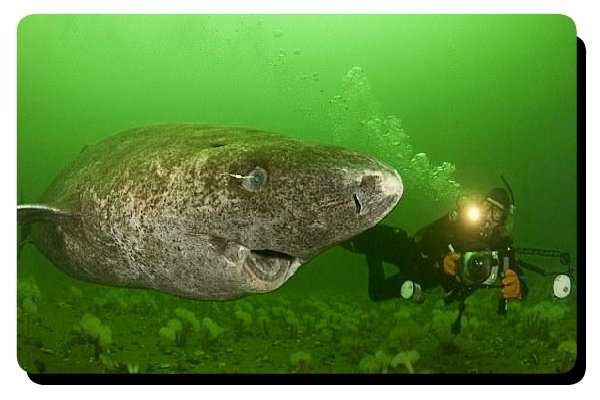 They lives in land but need to go to the ocean often to moisten their gills. They also feed on oceanic creatures of the tidal zone. There are about 20 species of ghost crabs. The scientific name of Atlantic ghost crab is Ocypode quadrata. Atlantic ghost crabs are light yellow in color. Sometimes, the color can vary from light grey to grey. They change their body color according to the color of the local sand. That makes them very difficult to spot on the sandy sea shores. It is their defense mechanism to stay safer from the predators like sea birds. The mature ones can grow up to 2 inches. These ghost crabs have white claws. One claw is a bit larger than the other. They have a good 360 degree vision. 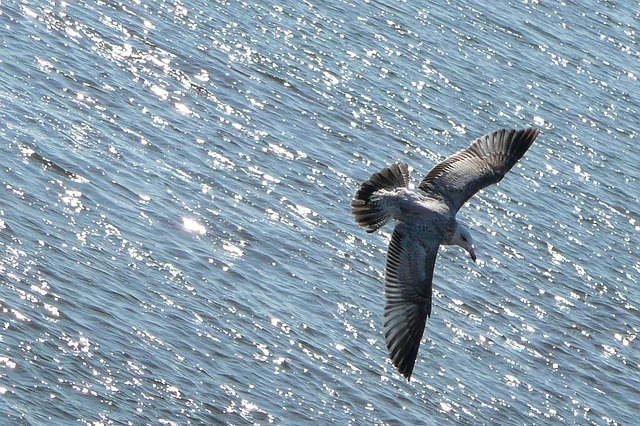 They can spot sea gulls in the sky. These animals can produce sounds. There are three types of sounds produced: rapping, rasping and bubbling. The rapping sound is produced by the claw, the rasping sound is generated from legs and the source of the bubbling sound is the gills. The younger ones make burrows very close to the sea. 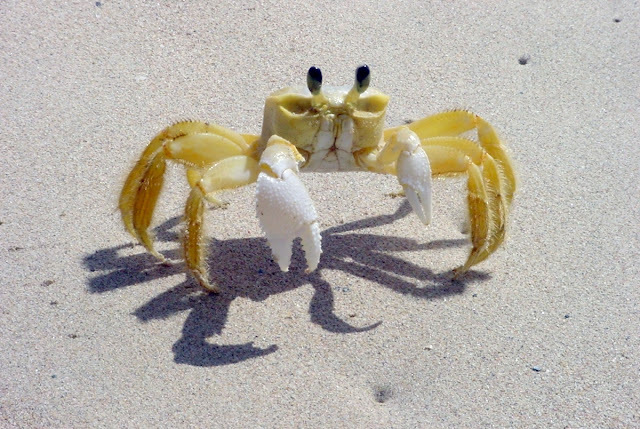 The mature Atlantic ghost crabs generally lives farther away. It there is enough sand they can live about 1300 ft (400m) inland. The burrows of these animals can be 4.5 ft deep. The crabs can seal the mouth of their burrows during the hot summer days. It protects them from being completely dried up by the sun. It also keeps their little underground home cool during the warm seasons. They are mainly scavengers feeding on dead organic matters came from the sea to the beach. They keeps the beach clean. 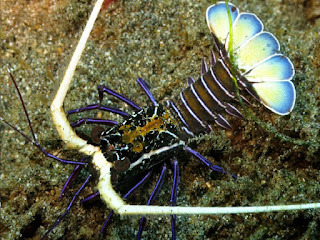 They also often feeds on clams and other smaller crabs. It is believed that they also prey on babies and eggs of loggerhead turtles. 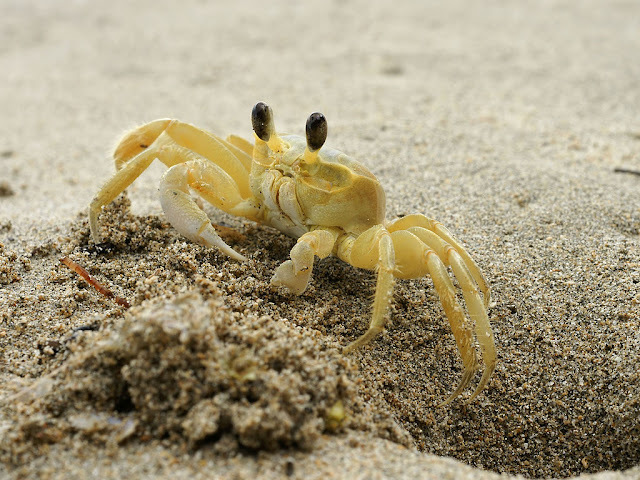 The male crabs fight for one female crab during the season of mating. The fight is highly ritualistic. Each crab tries to intimidate other by displaying their claws. Most of the time the war ends without any physical contact. 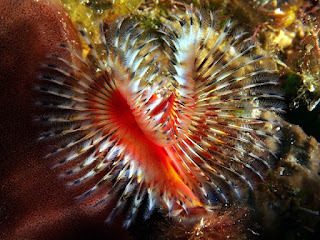 The females lay eggs in the ocean. The larva returns to shore after about six weeks. Many crab eggs and larva fall prey to the fishes and other crabs. 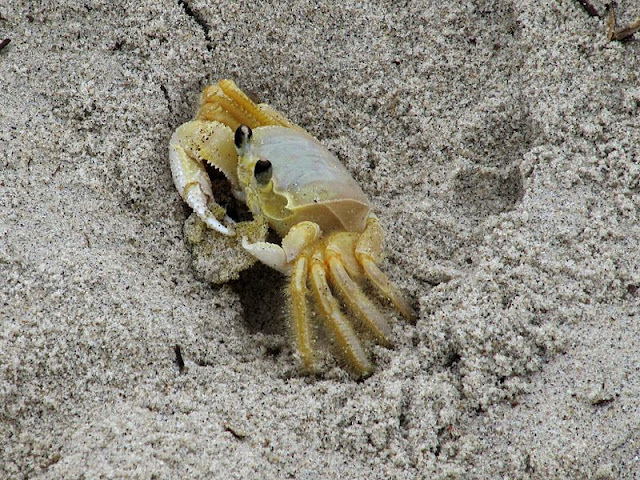 The Atlantic ghost crabs are not endangered animals. These crabs are edible but rarely people hunt them for food. Beach side constructions and such other activities are often destroying their habitats and thus creating problems for these natural cleaners of the sea beaches.